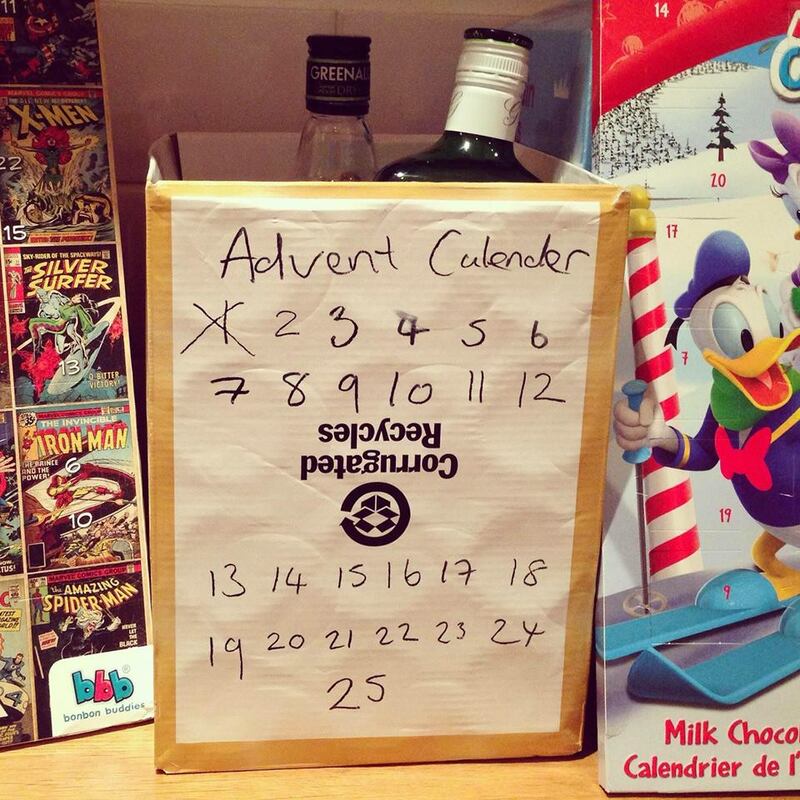 Where do you stand on advent calendars? Open to the appeal of a bit of chocolate every morning, in the teeth of the health police? Consider the Christmas message best expressed via fiddly bits of plastic, after forking out for a Playmobil or Lego advent calendar? When I was a child, we were given paper calendars every year and got over-excited by unveiling tiny pictures of sledges and trumpets every morning. 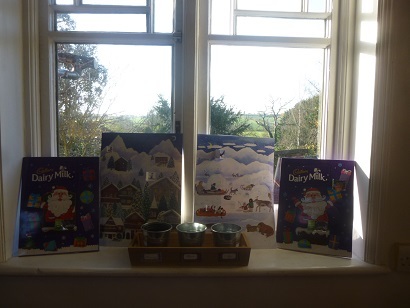 Then calendar envy snuck in, as school friends spoke of the unimaginable luxury of advent calendars with chocolate behind every door. I seem to remember a lecture from my mother about the expense of chocolate calendars and the value of money. To be fair, she did relent in later life, and even sent me a Cadbury’s calendar to hang on my office wall when I first started work. Always great when trying to establish credibility with your colleagues. So when I had my own children, I decided to start them off on paper calendars, as daily chocolate for a two-year-old didn’t seem the best idea. 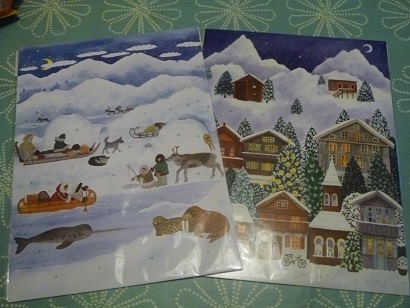 Granny and Grandpa took up the baton, and take great delight in choosing suitably festive calendars. However, now my children have reached the grand old age of six and (nearly) eight, demands have escalated beyond the pretty pictures. Much to my amusement in this topsy turvy world, it turns out it is now distinctly more expensive to buy a paper calendar than a chocolate version. Nowadays, if you want a puritanical paper version, you’re looking at forking out a fiver at somewhere like John Lewis. Yet you can nip into any old pound shop and come away with a Peppa Pig or Spiderman chocolate version for a quid, even if it’s a bit of a stretch to find religious significance in a cartoon character. In fact Poundland is currently doing two for £1.50 (possibly because we’re already into December). I cracked in the face of pester power, and splashed out a whole £1.50 each in Sainsbury’s for Cadbury’s versions, in case there’s ever any chance of me nabbing the odd choc (likelihood: pretty much zero). Now of course they’re selling for half price. Cadbury’s: purveyors of the hard stuff. 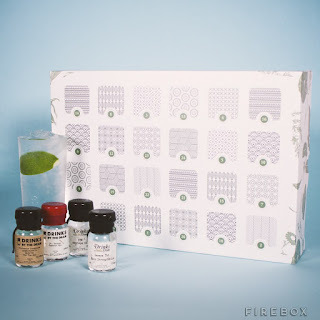 The “ginvent” calendar. Genius. But unfortunately £115. And you even have to provide your own tonic.Swizz. Although realistically I might have more luck making Hurrah for Gin’s version for myself. Reckon it should just about fall within my crafting skills. Hurrah For Gin’s advent calendar – success in a box. I was tempted to buy a 'trad' one from Waterstones recently, but it was so expensive that I didn't bother. Violet is 9, so yes, she demands a choccy filled one. She chose hers from Tiger a few weeks ago, quite impressed actually, as the scene on the front is quite classic and done with a tapestry effect. My main gripe with all calendars is where to put them. The choc ones are dived on each morning so end up ripping off the wall/door or wherever else they hang. Often Violet demands and extra one, so I end up with couple of these rotten things just moving around tables in the house. they drive me mad. So when she says 'mum, can I have two today' I'll say yes, just so she gets through them & I can sling them out! ha. 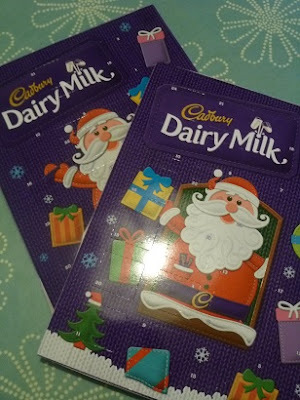 I must be a totally mean mother… We've never had chocolate calendars, except one year when an older friend was given one and passed it on to us and so they got a chocolate once every three days! My children are 11, 14 and 16. I also don't buy a new paper calendar every year. 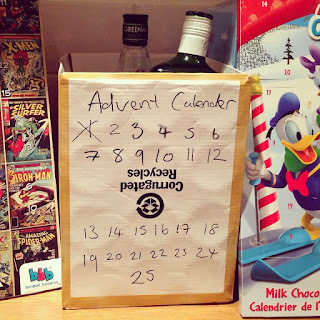 We always opened the doors carefully as children- it never occurred to me you were supposed to rip the doors off, and I was shocked when I saw a friend do it aged about 10- in fact, I still have my old advent calendar. So my 3 have the calendar from their very first Christmas, a special one we bought on holiday in the Black Forest years ago (so very traditional) and they also share one of those fabric ones where the figures velcro on to a Nativity scene that I bought in a sale when my eldest was tiny. Figures have to be carefully arranged in pockets so they each get a tree/shepherd/king/camel etc (still!). There are occasional extras in the pockets- a new pen, a tree decoration or a sweet, but not every day. When they were younger I'd also sometimes put in notes- choose a Christmas film to watch, we're going to look at all the over the top Christmas lights on houses in the town, we're making Christmas biscuits etc. I've had the odd whinge about being the only children in school without a chocolate advent calendar (probably true on this occasion!) but not too bad and now they look forward to getting their calendars out and remembering them. We had the same ones for years when me and my brother were small. Dad re-closed all the doors after Christmas and put them away at the bottom of the Christmas decorations box which meant that by the next year they were pretty much sealed shut again. We didn't mind, we were a bit more put out at having to open our Christmas present very carefully so the wrapping paper and gift tags could be used again, but hey ho … saving money on the little things meant we got an extra present or two in our stockings. And I actually think that even at our young ages we saw this for the bonus it actually was.